In the sequel to the classic novel A Wrinkle In Time, it is November when Meg comes home from school and Charles Wallace tells her he saw dragons in the twin's vegetable garden. That night Meg, Calvin and C.W. go to the vegetable garden to meet the Teacher (Blajeny) who explains that what they are seeing isn't a dragon at all, but a cherubim named Proginoskes. It turns out that C.W. is ill and that Blajeny and Proginoskes are there to make him well -- by making him well, they will keep the balance of the universe in check and save it from the evil Echthros. 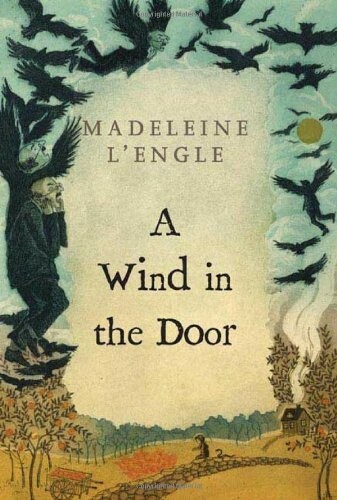 "There are dragons in the twins' vegetable garden," announces six-year-old Charles Wallace Murry in the opening sentence of The Wind in the Door. His older sister, Meg, doubts it. She figures he's seen something strange, but dragons--a "dollop of dragons," a "drove of dragons," even a "drive of dragons"--seem highly unlikely. As it turns out, Charles Wallace is right about the dragons--though the sea of eyes (merry eyes, wise eyes, ferocious eyes, kitten eyes, dragon eyes, opening and closing) and wings (in constant motion) is actually a benevolent cherubim (of a singularly plural sort) named Proginoskes who has come to help save Charles Wallace from a serious illness. 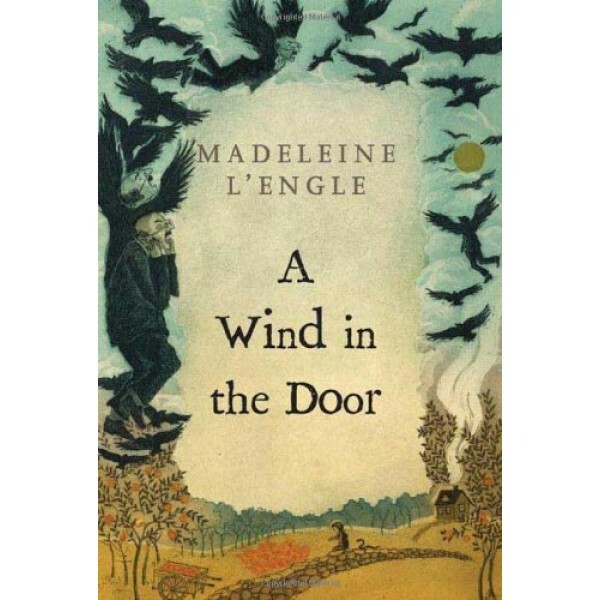 In her usual masterful way, Madeleine L'Engle jumps seamlessly from a child's world of liverwurst and cream cheese sandwiches to deeply sinister, cosmic battles between good and evil. Children will revel in the delectably chilling details--including hideous scenes in which a school principal named Mr. Jenkins is impersonated by the Echthroi (the evil forces that tear skies, snuff out light, and darken planets). When it becomes clear that the Echthroi are putting Charles Wallace in danger, the only logical course of action is for Meg and her dear friend Calvin O'Keefe to become small enough to go inside Charles Wallace's body--into one of his mitochondria--to see what's going wrong with his farandolae. In an illuminating flash on the interconnectedness of all things and the relativity of size, we realize that the tiniest problem can have mammoth, even intergalactic ramifications. Can this intrepid group voyage through time and space and muster all their strength of character to save Charles Wallace? It's an exhilarating, enlightening, suspenseful journey that no child should miss.